After saving up your hard-earned money, you're finally ready to book your plane ride and accommodations for a trip to one of the most beautiful beaches in the world. A vacation to the paradise that is Boracay is included in most people's bucket lists so naturally, you're totally excited to pack your swimsuits, hop on a plane, and finally experience the look and feel of Boracay's powdery white sand. There is an abundance of tips from experienced travelers who had the luck to go to Boracay more than once so you wouldn't have any trouble finding information that you need. But with so many options available when it comes to hotel accommodations, food, and activities, you might get confused planning your itinerary. This Boracay first timer's guide will come in very handy when planning your trip to this magical paradise. There are no direct flights to Boracay. By air, you have two ways to get there if you're coming from Manila. The faster route is a flight from Manila to Caticlan in Panay Island, which takes approximately 50 minutes. From Caticlan Airport, you can take a 15-minute ferry/boat ride to Boracay. The second route is a flight from Manila to Kalibo, which is also 50 minutes long but from Kalibo, you still have to take a 1½ van or bus ride to get to Caticlan Jetty Port. From there, you take a 15-minute ferry/boat ride to Boracay. Why take the longer route, you may ask. The second route is cheaper, with air tickets ranging from PHP 1300 to PHP 2500 (normal rates). This is usually included in airline sales and promos. Tickets to Caticlan go for PHP 7000 to PHP 10,000, and they are usually not covered by promo rates. This makes the second route more popular among budget travelers. Keep in mind that you still have to factor other fees (ferry fare, environmental fee, terminal fee) in your list of expenses. You need to shell out PHP 200 for Caticlan Jetty Port fees (which covers cooperative, terminal, environmental and admission fees). From Boracay Jetty Port, you will need to take a tricycle to your hotel, which will cost you around PHP 80 to PHP 150. If plane tickets are still too steep for your budget, you can actually go to Boracay through Roro ferry. The ride will set you back around PHP 1000, including meals. Manila to Caticlan will take around 17-2o hours of travel, including the bus ride from Cubao to Batangas. The boat trip will take you from Batangas to Caticlan. One of the great things about Boracay is the number of accommodations that entertain different types of guests. It doesn't matter if you're a backpacker or the type who wants luxurious accommodations, you can easily find an inn or hotel that will cater to your needs. For those who prefer less-frills, the island is home to hostels, inns, and B&Bs that will provide safe, clean, and affordable rooms for the budget-conscious traveler. Boracay is divided into three portions: Station 1, Station 2, and Station 3. The posh and expensive hotels are mostly located at Station 1, while the budget accommodations are mostly at Station 3. 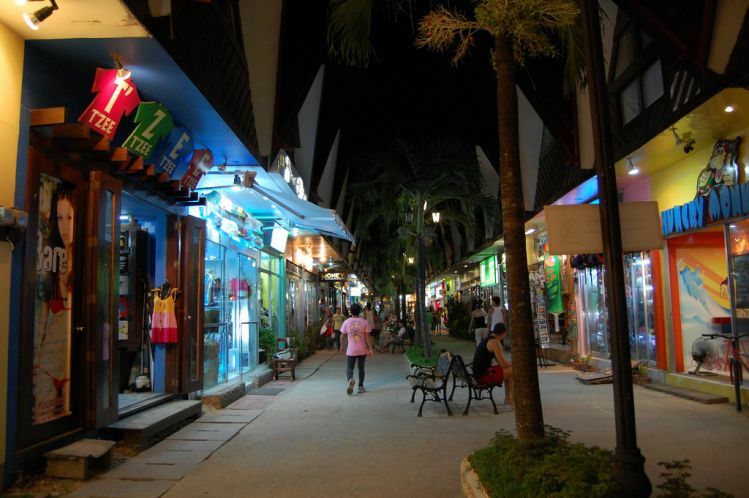 Station 2 is known as the center of nightlife in the island. If you're planning to spend your Boracay vacation in style and with a specified budget in mind, Alta Vista De Boracay's fully-equipped suites should be included in your list of options. The hotel's hilltop location will give you the most breathtaking views of the island. The luxurious hotel ensures a worry-free escape that you deserve during your vacation. On top of this, Alta Vista offers the lowest reservation rate via bookings made directly on their website. 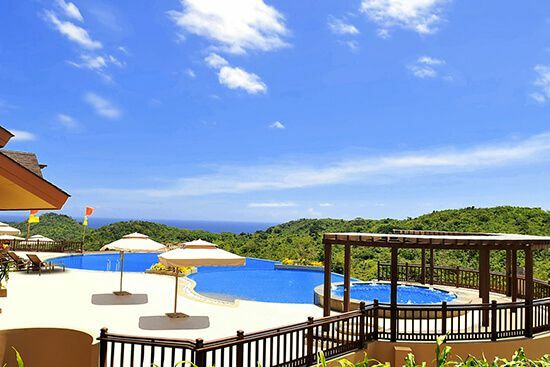 Alta Vista De Boracay provides spectacular views of the island. Since Boracay has lots of visitors all year round, it's best to book in advance especially during the summer season. It's cheaper to book for rates during the low season, which is from May to October. First timers are usually best when they get a guide to tour them around. Some visitors actually recommend a Boracay local tour guide in terms of enjoying the island and maximizing their stay on the island. On the other hand, backpackers say that it's best to explore the island on your own since it's pretty small to begin with. Secondly, getting to know the place personally makes it a more monumental and story-worth trip. All you need to do is to make a thorough research to kick off your exploration project. A good part of your vacation will be spent sprawled on the white sand and catching some glorious sun. But in order to make the most out of your stay, you need to sign up for the exciting adventures that the island has to offer. Visiting Puka Beach, which is the perfect spot for kiteboarding and surfing, is a great spot for adrenalin junkies. If you want more action, there's also jet skiing, kayaking, skimboarding, windsurfing, parasailing, diving, and island hopping. Those who like it extreme should try out cliff diving at Ariel's Point, a popular spot for heart-thumping action, great food, and cold beer. The place garnered great reviews at TripAdvisor, with one guest rating it as "the best thing to do in Boracay." Ariel's Point is commended for its various activities aside from cliff diving, as well as its open bar of beer and spirits. A Boracay vacation is not complete without partying on the pristine white sand, with the most beautiful sunset in the world as your backdrop. The island has lots of spots for those who want a pulsating night out. One of the most popular bars in Boracay is the Cocomangas Shooters Bar, which draws crowds lining up to get inside. 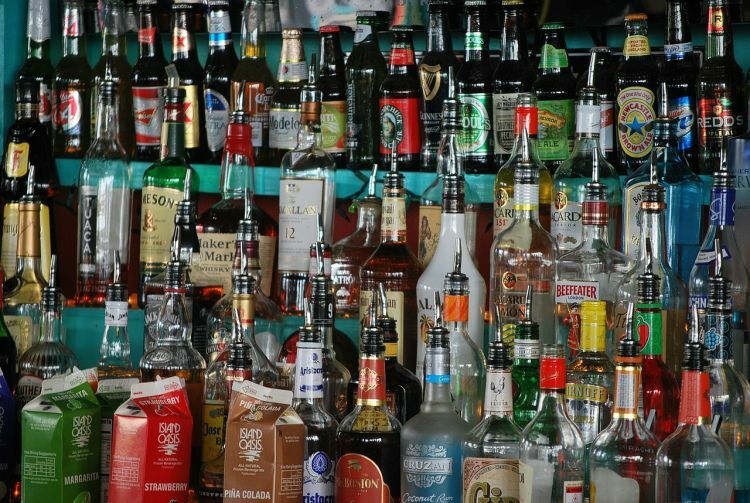 The bar is famous for challenging customers to down 15 shots of assorted booze in one sitting. If you prefer the dance club scene, then Epic Bar is your place to be. It's the spot for great DJs from around the world, producing some of the best parties that ever graced the island. If you want to stay at beach away from the party crowd, then head to Diniwid Beach, which is the perfect spot to experience the peaceful side of Boracay. Another slice of private paradise you should check out is Puka Beach, which has a serene environment perfect for those who want to get away from it all. Speaking of which, Alta Vista De Boracay has an exclusive access to Puka Beach, which makes it easier for guests to spend a perfect day in the sand minus the crowd. Relaxing in Boracay would not be complete without experiencing the massage and spa packages designed to put weary travelers at ease. If you're traveling with your significant other, you should try the couples package at Mandara Spa & Villa, which includes their signature massage, a royal foot bath, and their decadent Cleopatra Milk Bath. Another great option is the treatment offered at Tirta Spa, which consists of several therapies including foot and body scrub, shower, facial treatment, and their signature massage. If you want to have a soothing massage without going out of your hotel suite, then go for the in-room massage services offered by Palassa Spa to guests staying at Alta Vista De Boracay. Getting a massage in the privacy of your room is a heavenly treat after spending the day skiing and partying at the beach. Nothing boosts one's appetite than chilling at the most beautiful beach in the world. Fortunately, Boracay has lots of options for travelers of every kind. Cheap eats are plenty for the budget-conscious beach bum. If you're at Bulabog Beach, try the local and international dishes at Happy Home, which serves huge portions that go for around PHP 150 each. For simple but delicious meals, there's Smoke Resto at D'Mall, with another branch along the main road. If you're craving Mexican chow, go to Tres Amigos in D'Mall and enjoy great burritos at less than PHP 200 each. Looking for cheap seafood trips? Look no further than D'Talipapa at Station 2, which sells seafood by kilo. They can cook the meals for you so all you have to do is wait for your food and eat to your heart's content. Because Boracay is a tourist destination, tipping for services has become standard practice here and should be included in your budget. There's no written rule on how much you should tip to taxi drivers, tour guides, and boat guys but if you want to have an idea how much to give, you can ask the concierge at your hotel about it. Foreigners usually do not have trouble handing out tips given the friendliness of the locals. Just to be sure, always keep loose change in your pockets so you can easily give little tips as you go along. If you enlist the services of a driver or guide for the duration of your stay, it's best to give generous tips so you will be assured of great service. Now that you're good to go for your first-time trip to one of the world's best islands, it's about time to get your sunblock and beach wear ready. Remember, first time travels are usually never forgotten, so it's best to make every minute of it count. What are you looking forward to in your first time trip?